One of a trend that has shaped a previous year and definitely is going to influence the year 2017 is the increasing popularity of chat bots. Chatbots is a program that simulates a real conversation with users by using artificial intelligence. To understand this technology and find use cases that will fit your business and your customers` needs, let's analyze the background that drives this trend. 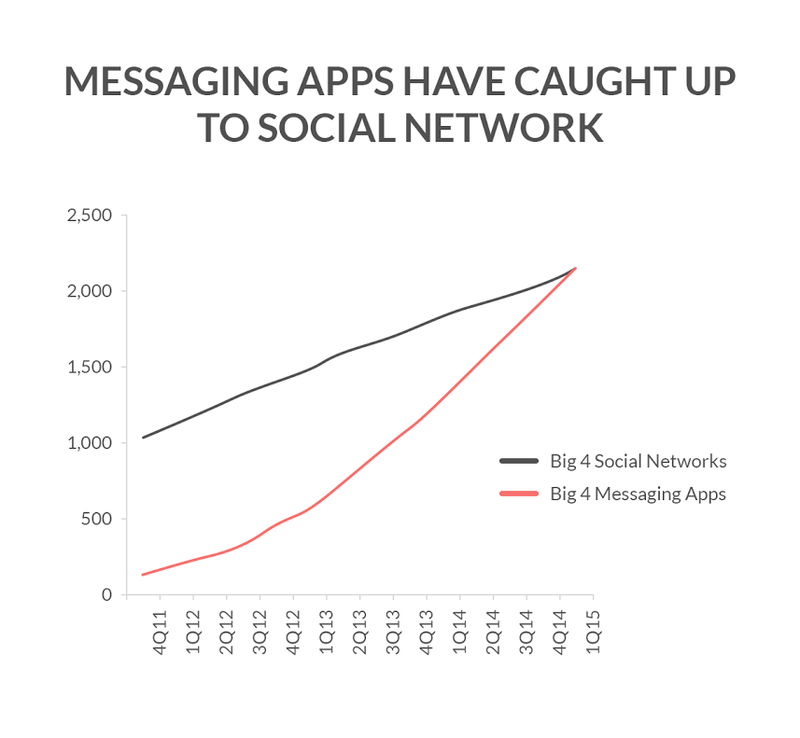 The exploding popularity of messaging apps is hard to deny. The GlobalWebIndex Statistics says that 75% of Internet users are adopters of one or few messengers. Also, take a look at the Business Insider statistics that shows how quickly growth the popularity of messengers: READ ALSO: HOW MUCH DOES IT COST TO DEVELOP A MESSAGING APP LIKE WHATSAPP? The rise of artificial intelligence technologies brings chatbots to the new level. Together with natural language processing AI brings up to 90% to an accuracy of machine parsing and understanding of requests. Another significant factor here is sophistication notifications that take into account context of the situation and are always on across devices. The accelerated development of all kinds of sensors and wearables in addition to analytics and data science boosted the personalization of the virtual communication and the capabilities of predictive assistance. 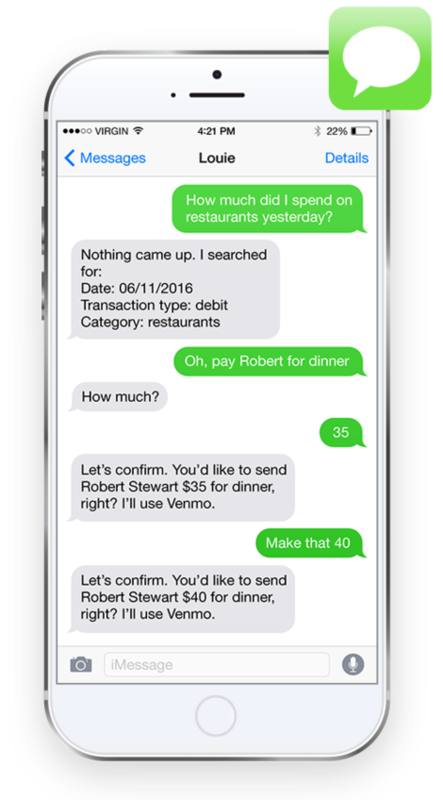 Payment integration to third parties via APIs brings, even more, options to the chat bot functionality. There is one interesting nuance you probably haven't ever realized. In app stores, you can find millions of different apps available. 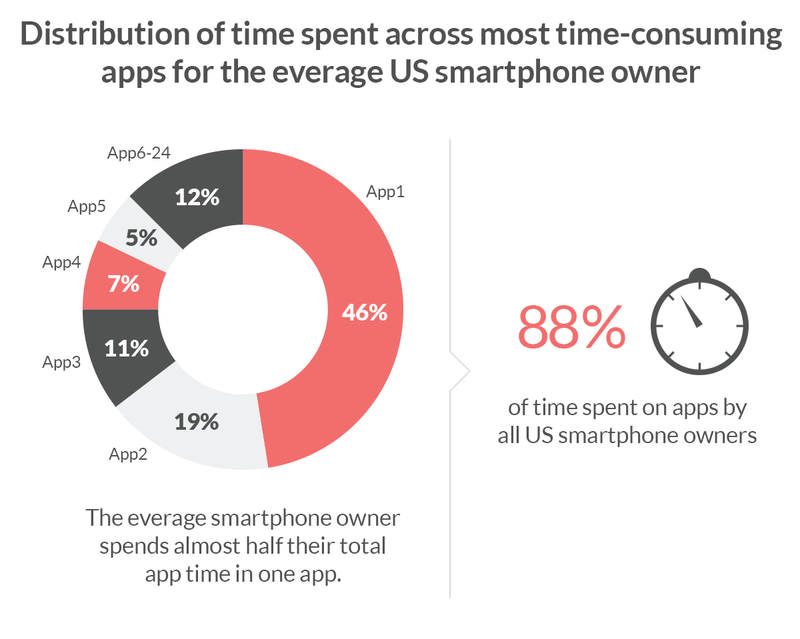 However, the Forrester Research shows us, that users use about 24 apps per month wherein the 80 percent of the time is on just five apps. Without any doubt among them are Facebook, WhatsApp, and Snapchat. That means that you hardly can shoot ahead with a new app for your business, but you still have high chances to integrate you chatbot into one of the platforms from your user's everyday routine. Of course, bots have not appeared just now, but at Annual F8 Conference in April 2016 Facebook has announced its platform. That gave a massive impulse for implementation this technology for business needs. Chatbot app development has all chances to be one of the hottest trends and a new challenge for companies and software vendors. For every business, there is always a set of typical questions that your employees have to answer over and over again. You can gather all these matters in the FAQ form on the website or Facebook page, or you can create a chatbot for that. Also, chatbots are essential when customers need to get consultation ASAP. Low involvement goods and services mean that the clients do not spend much time on making a decision to buy or not to buy. Emotions dictate such purchases, and I bet you do not want to miss such customer`s impulse by not providing info in time. By one single request bots immediately understand what the customer want and offer it without human interaction. Everything is simple. The more you can give to your client conditionally for free, the more loyalty you get. That is how your chatbot actually can become another channel of winning the sympathy. From another hand, by providing info automatically also you save some money for human recourses. Also take a note that this information can be easily personalized. Working in a field where products, services, and prices for them are mostly the same, it is hard to compete. Most likely that your customer will choose the vendor that requires spending fewer efforts to get a product. Moreover, again your chatbot is a winning strategy! First of all, you customer will get information regardless the day of the week, time, holiday, etc. Secondly, no one likes to speak by phone nowadays. 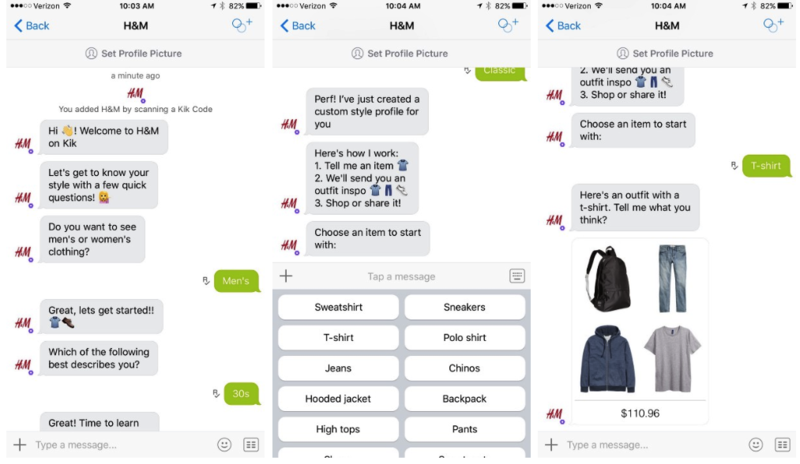 Chatbots change the form of communication between the brand and consumer. Of course, some of them will stay with us longer, and another are going to evolve further. Anyway, there are no doubts that both users and brands can get benefits from this technology. 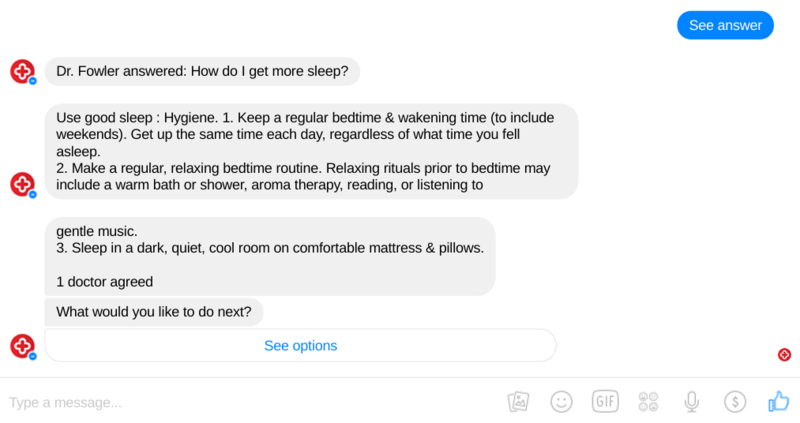 We have gathered five inspiring chatbot use cases. The percentage of consumers who prefer to buy online is inexorably increasing every year. Today this number tends up to 45%. At the same moment, there is another curious fact. 64% of consumers search online before making a purchase, which means that even those who prefer offline shopping spend some time looking online before this. That is why chatbots can become one of the most important channels for your retail business. As it is written above, this model will better work for the products with little involvement like clothes or accessories. Furthermore, chatbot helps you to ensure your customer with a personalized experience. 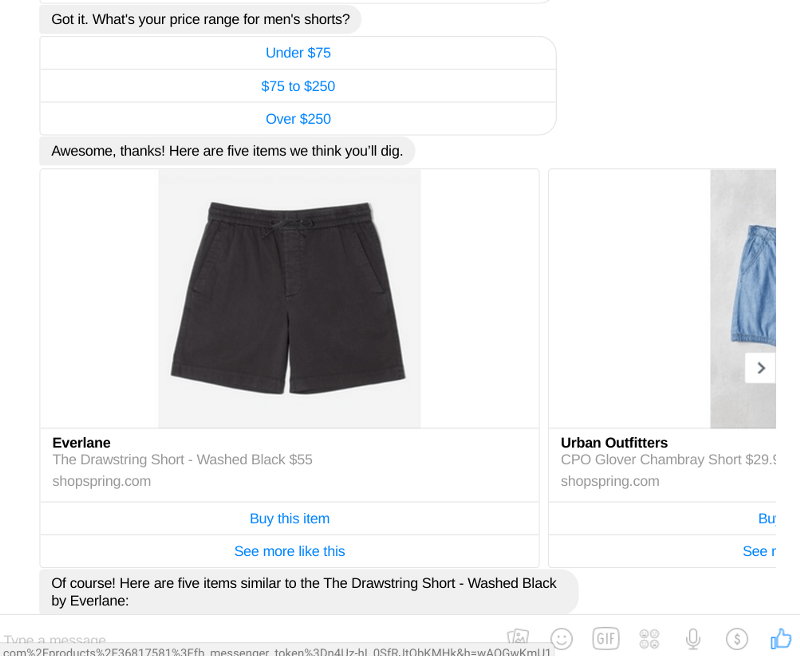 The good example of retail chatbot is Shop Spring. You do not need to chat with it, only to pick up some answers from the list of questions to narrow down the options for final choice. The main advantage of the bot before marketplace is that it minimize the number of actions and clicks that user needs to do. With the help of chatbot, you can not only choose the product or service but also and buy it. At the TechCrunch Disrupt SF 2016, the Head of Messenger David Marcus has announced that bots are going to accept payments. So indeed, from the late September 2016, Facebook Messenger users can not only initiate orders but complete them through payment systems like Visa, MasterCard, American Express, PayPal, Stripe, and Braintree. Of course, every financial operation requires the high level of privacy and security. At The App Solutions, we do know all actual threats and provide a reliable fraud protection. The main point of any fast food is quick. Your chatbot here will win on all counts. It`s always online and ready to take an order in few steps. The good example is Pizza Hut. "We are committed to our servicing our customers in the most convenient way and meeting them in the channels they already prefer," said Baron Concors, Pizza Hut's Chief Digital Officer. Same as in the financial sphere, any healthcare or hospital app requires a high level of security standards. The confidentiality of patient`s private data and HIPAA compliance are crucial. Healthcare chatbot patient can book an appointment with doctors, pay invoices for services, store and track all payments and medical case. Also, such chatbot can perform as an instrument of patient's education. Such strategy helps healthcare providers to build stable and value-rich relations. The great example of a medical bot is a HealthTap that instantly connects users to doctors. The database of medical staff includes 100,000 physicians from over 140 specialties. Customer support and technical assistance are quite resource consuming part of any business. This process can also be improved with the help of chatbots. Once you analyze incoming requests, you will see that most of them are identical. By creating a chatbot for business, you can automate repetitive requests. Your customer will appreciate the direct communication that avoids holding on the line and talking to strangers from support service. Chatbots is a powerful tool for the brand-to-customer communication that also helps to reduce costs and resources. The reason for such exploding popularity is the rise of mobile messengers and extension technology of artificial intelligence. Vendors and retailers need to rethink their communication strategies to strengthen their presence in the channels where their customers prefer to be. For now, it is messenger apps.